It’s hard not to notice ziggurat-like (if you aren’t sure what they are, ziggurats are pyramid-like temples that have more stepped design outside than the classic triangle shape of a pyramid and have been found in different parts of the world such as Mexico, South America, and the Middle East) temple in Epcot’s World Showcase Mexico Pavilion. It towers over the Mexico area and can be seen even from across the park! It is one of the icon of World Showcase! 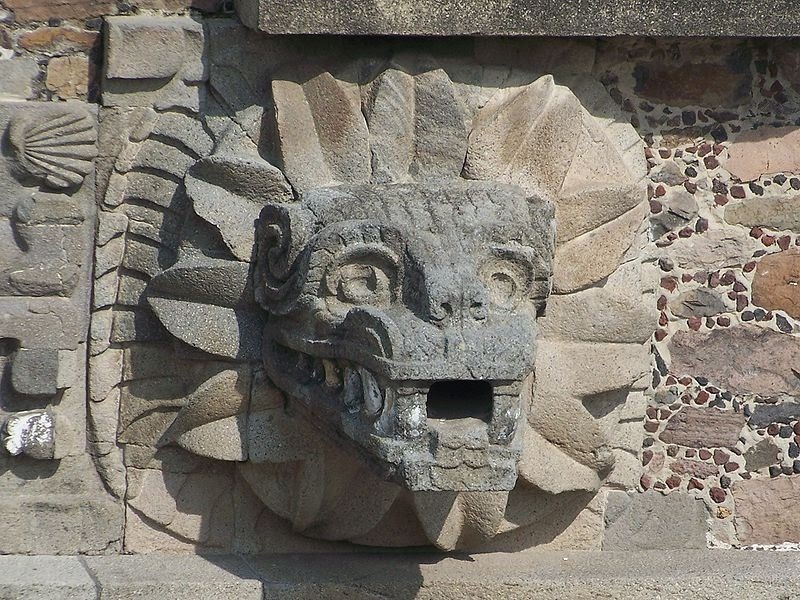 The temple in the Mexico Pavilion was modeled after the Aztec temple for Quetzalcoatl (pronounced KETS-ull-KOH-ahtl) in Teotihuacan, Mexico. 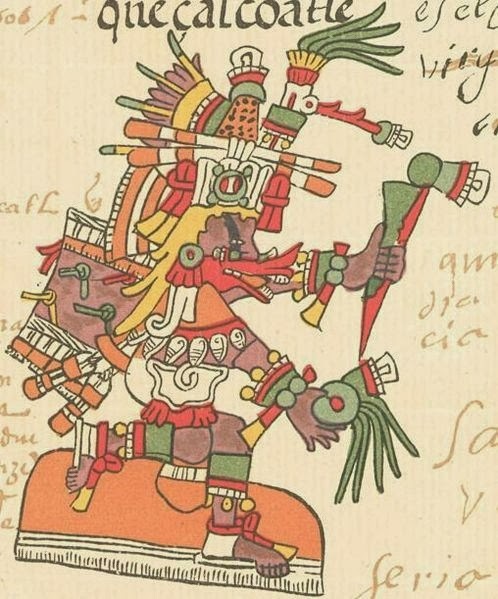 Quetzalcoatl means “feathered serpent” and he was the the god of wind and air in Aztec religion. 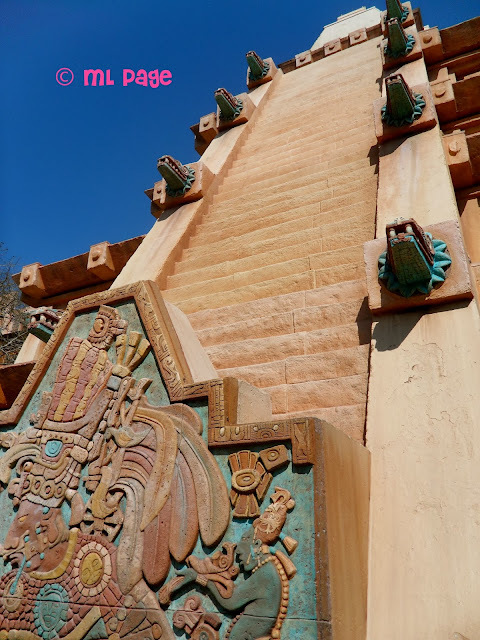 If you look at the front artwork on the pavilion you can see a depiction of Quetzalcoatl front and center! By the time Spanish explorers reached the Americas the feathered serpent diety (although going by different names) had been worshipped and venerated even in Mayan culture. Most historians agree that the Quetzalcoatl figure was a fertility diety with strong connections to agricultural gods and contrasting the war gods also worshipped by Meso-American societies. So next time you are out and about in the Mexico Pavilion, waiting for your ride on Gran Fiesta Tour, your dining reservation at San Angel Inn, drinks at La Cava de Tequila, or maybe just shopping the marketplace show off your new knowledge of the Aztec temple replica you are standing in and tell everyone about Quetzalcoatl, the feathered serpent diety!